It’s stories like this that make you root for the small guy. 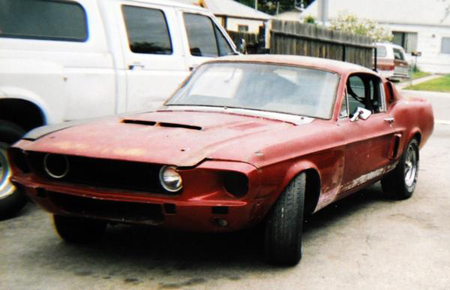 Car restorer Tim Shuler is at the centre of an odd legal dispute involving one of the holy grails for Mustang owners, a candy-apple red 1967 Shelby Mustang GT500. 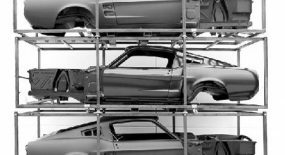 In 1980 the car was reported stolen and, officially, never recovered. Unfortunately the man who reported it stolen, Jeff Dove, died last year leaving behind a tangled legal web. 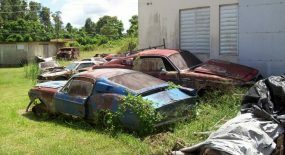 Now Tim Shuler, who has been in possession of the car and spent his time and money restoring it, and the insurance company, American Family, who claim to have paid out $14,000 on the claim 30 years ago are entangled in a fight over who actually owns the vehicle. 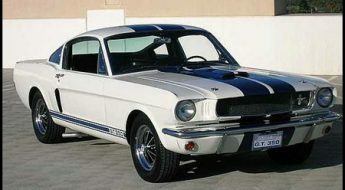 In 1996, Dove went to Shuler’s home asking him to restore the GT500. Shuler agreed but not before asking Dove for the title only to have Dove say he had lost all paperwork for the car. So over a 12-year period, Shuler stored the car at his house, restoring only the steering wheel. Shuler says he also loaned Dove money with an agreement that the car was collateral. “He has legal claims to the car because he held it so long and he had an oral contract with Mr. Dove,” said Shuler’s attorney Kevin Flesch. After Dove never returned for the vehicle Shuler decided to title it for himself but when trying to do so the car came up as stolen in the insurance-theft database and this is where the dispute comes in. American Family is certain and has proof it paid out on the theft, meaning the car is now the property of the insurance company. But before Mr Dove died he told state troopers the car was recovered and the insurance company let him keep the payout. 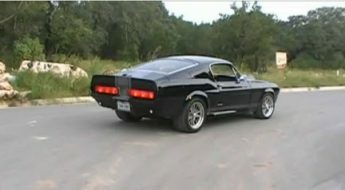 But yet another odd point to the story is that American Family has lost the file, including the title, on the Shelby. In a further twist the car was impounded after State Patrol found the VIN had been tampered with and a second VIN belonging to yellow mustang now on the car. 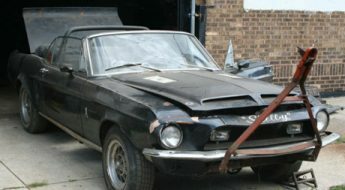 It went to court and after it was thrown out Mr Shuler went to pick up his car at the impound only to find that State Patrol and American Family had placed a legal hold on the Shelby. The insurance company then filed a lawsuit against him in Douglas County. A hearing is scheduled for July 2. If the Shelby is returned to Shuler, he said he’ll be forced to sell it because he owes money to friends who helped him with his legal fees. “I will find a good home for it,” he said, “but I am not going to quit.” Shuler said he already knows two interested buyers. I’m begging for news about your car or Toby’s ! 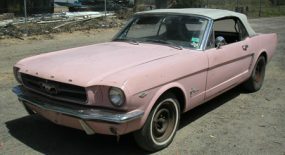 I heard recently that David Koch from Sunrise is building a 67 Fastback and has put an LS1 Chevy engine in it. Terrible. 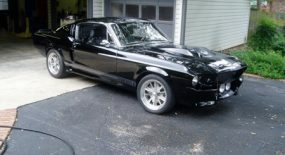 A nice 1967 Mustang story. I hate to say it, but I think the insurance company owns the car. They paid Mr. Dove $14k for the car 30 years ago. He committed fraud. 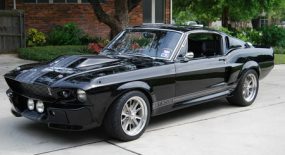 i will do just about anything to be able to purchase this car! i hope that you can get the car back..
hi from what it reads is that the insurance company owns the car but over here in the uk if you were storing the item ( car or anything else not car ) you can then charge them storage with or without there knowledge until they come and pick it up as i had this with an item when i moved in i was told by the previous house owner that his freind would be round to pick it up within 2 weeks and 2 1/2 years later i got a phone call from the freind and i told him to go away , the next thing i did was phone a solicitor and they said yes he did still own the item but i could charge him rent at whatever i liked and i didnt here from him again so if the law is the same over there in the states then 30 years of rent at whatever you like i think youre laughing, but over here once the insurance have paid out for the car its theres.